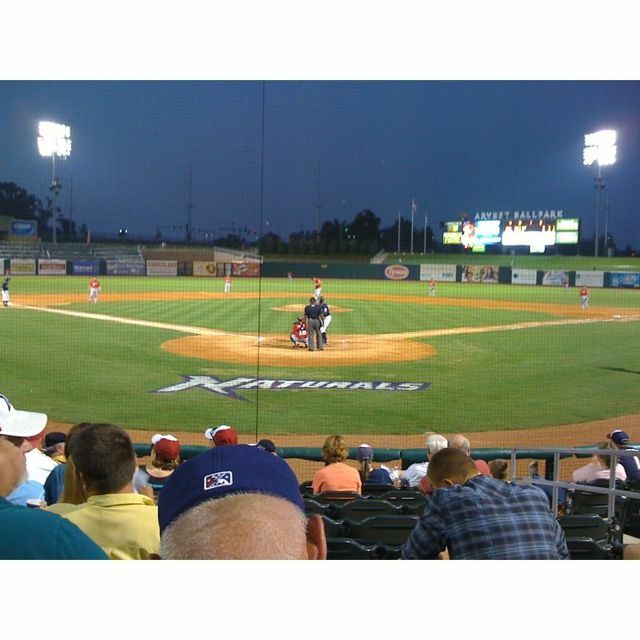 Springdale, AR – We received a great Arvest Ballpark welcome by a friendly staff from the Northwest Arkansas Naturals, Texas League affiliate of the Kansa City Royals. The Naturals open their series with the Frisco RoughRiders, Texas Rangers affiliate, tonight and we will have the chance to heckle John Lamb in the stands. Lamb will be on charting assignments behind home plate, as many pitchers are required during the game before a start. We are extremely excited about the first chance to see John pitch during his 2010 professional baseball season. The Lamb’s would like to thank the entire Naturals staff for their hospitality. More will follow tomorrow nights start as John attempts to pick up his first Double-A win since he was promoted at the end of July.